Ok, it's not summer yet but it sure feels like it. It was so hot, I couldn't even wear my blazer the rest of the day. When it comes to picking what shoes to wear, I'm very indecisive, there's just so many choices! So I ended up wearing the white loafers during the day to go shopping then the black wedges to a movie night. I'm also wearing my DIY necklace for the first time :) It took me long enough to finally finish this collar necklace and I'm so proud of myself! Asos watch. Dogeared necklace worn as bracelet. Forever21 Egyptian ring. Turquoise ring from a random souvenir shop in NY. 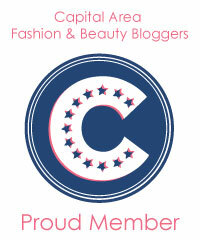 found you on CapFabb:) Great blog- really like your style! Keep up with beautiful posts!